We can learn a lot about galaxies by analyzing their light, through computer modeling, and using other complex techniques. But at the most basic level, we can learn about galaxies by studying their shapes. Galaxy appearance immediately reveals certain characteristics. Elliptical galaxies contain a wealth of old stars. Spiral galaxies are full of gas and dust. Distorted galaxies have likely experienced a gravitational interaction with another galaxy that warped their structure. The Frontier Fields project adds another dimension to this simple analysis. When we look at extremely distant galaxies with the magnification of gravitational lensing, we see new detail that was previously obscured by distance. Their shapes are clues to what occurred within those galaxies when they were very young. Galaxies viewed through the gravitational lenses of the Frontier Fields clusters can be seen at a resolution 10 times greater than non-lensed galaxies. That means those tiny red dots that so thrill astronomers in normal Hubble images actually have some structure in Frontier Fields imagery. Previous studies, such as the Hubble Ultra Deep Field, The Cosmic Assembly Near-infrared Deep Extragalactic Legacy Survey, or even adaptive optics-enhanced studies by ground telescopes have shown that young, star-forming galaxies at about a redshift of 2 (existing when the universe was about 3.3 billion years old) appear to have a certain lumpiness. But without gravitational lensing, we lack the resolution to say for sure whether those lumps were massive clusters of newly forming stars, or whether some other factor was causing those galaxies to have a clumpy appearance. Frontier Fields has revealed that yes, many of those galaxies have star-forming knots that really are quite large, implying that star formation occurred in a very different way in the early universe, perhaps involving greater quantities of gas in those young galaxies than previously expected. Frontier Fields has also given us a better grasp of the physical size of gravitationally lensed young galaxies even farther away, at a redshift of 9 (when the universe was around 500 million years old). Observations show that these galaxies are actually quite small – perhaps 200 parsecs across, while a typical galaxy you see today is closer to 10,000 parsecs across. These observations help plan future observations with the Webb Space Telescope, picking out what will hopefully be the best targets for study. Galaxy shape also plays a role in discoveries in the Frontier Fields’ six parallel fields, which are unaffected by gravitational lensing but provide a view into space almost as deep as Hubble’s famous Ultra Deep Field, with three times the area. It’s well known that galaxies collide and interact, drawn to one another by gravity. Most galaxies in the universe are thought to have gone through the merger process in the early universe, but the importance of this process is an open question. The transitional period during which galaxies are interacting and merging is relatively short, making it difficult to capture. A distant galaxy may appear clumpy and distorted, but is its appearance due to a merger – or is it just a clumpy galaxy? 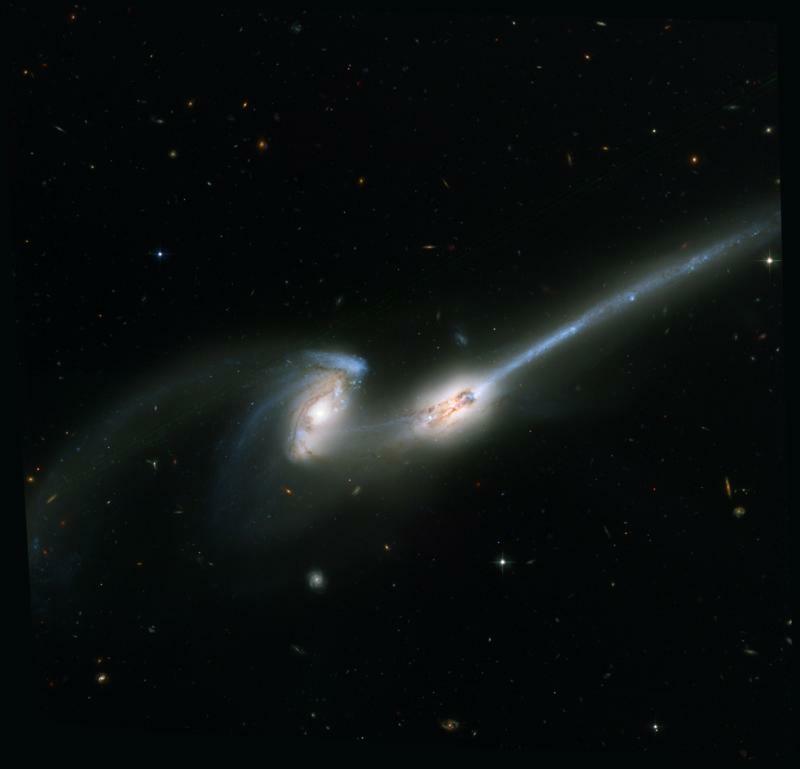 Collision-related features — such as tails of stars and gas drawn out into space by gravity, or shells around elliptical galaxies that occur when stars get locked into certain orbits – are excellent indicators of merging galaxies but are hard to detect in distant galaxies with ordinary observations. 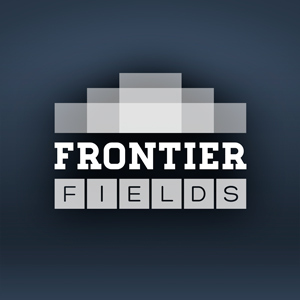 Frontier Fields’ parallel fields are providing astronomers with a collection of faraway galaxies with these collision-related features, allowing astronomers to learn more about how these mergers affected the galaxies we see today. 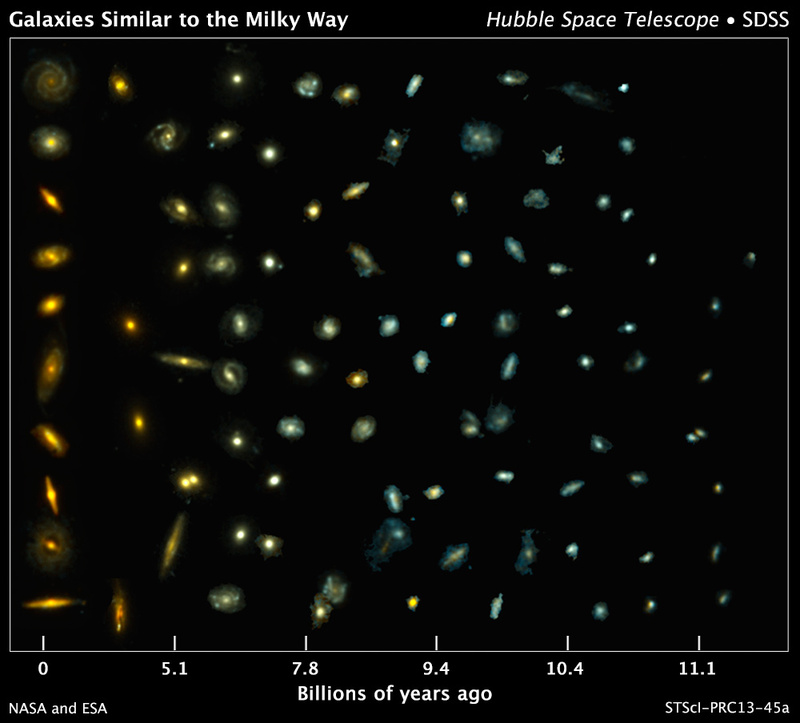 As time goes on and the cluster and parallel Frontier Fields are explored in depth by astronomers, we expect to to learn much more about how galaxy evolution and galaxy shapes intertwine. New results are on the way. Reblogged this on Scienza e Fede: Specola Vaticana – Science and Faith: Vatican Observatory – Ciencia y Fe: Observatorio Vaticano – Ciência e Fé: Observatório do Vaticano – Science et Foi: Observatoire du Vatican – Wissenschaft und Glaube: Vatikanische Sternwarte – العلم والإيمان: مرصد الفاتيكان – Nauka i Wiara: Watykańskie Obserwatorium Astronomiczne – Wetenschap en Geloof: Vaticaanstad Observatorium – Veda a Viera: Vatikán Hvezdáreň – विज्ञान और विश्वास: वेटिकन वेधशाला – 科學與信仰：梵蒂岡天文台 .